Narrative Art in the Mahabharata—the Adi Parva. Dev Books, Delhi. 2012. The study analysis the baffling nebulous mass of material with which the epic begins, bringing out the central theme of each of the sub – parvas to provide insights into the Vyasan vision and the master’s mastery of his epic art. It helps the reader to understand the intricate web of inter-connections of events and characters so that a clear, logical and intelligible picture emerges of the very involved and confused panorama of the Mahabharata. Parallels from comparative mythology and literature enrich the study and there is a continuous concern to highlight the agenecy of women throughout the epic. “This is a solid, original work of scholarship. It is also unusually well written, with flare and elegance, and carefully edited; I found almost no typos or infelicities of style. I actually enjoyed reading it, and learned much from it. The insights come not in any overarching argument or thesis, but rather in a series of separate apercus that come in each chapter, shedding light on each of a series of human problem, even beginning with the structure of the table of contents! These insights often come from, or reflect, works outside of Indian literature, classics of Greek and English literature, in particular, but the work also incorporates a knowledge of Chinese and Irish history, inter alia. I also enjoyed the quiet citations of English literature peppered throughout the writing. And I welcomed the continuous concern to present the agency of women throughout the Epic, a focus on the strong women in the story—not just Draupadi and Kunti, but Shakuntala, Devayani, Urvashi, and many others. The historical background is brought into the argument from time to time, to ground it.”—Dr. Wendy Doniger, Mircea Eliade Distinguished Service Professor of the History of Religions, Chair of the Department of South Asian Languages and Civilizations, University of Chicago. “…reveals (his) command over the entire epic story and the creative literature that has been inspired by it…his study of the epic has transcended the perimeters of a doctoral dissertation to stream forth into the epic’s parameters…A very satisfactory introduction to indicate how out of all the jumble of man-woman relationships (in and out of wedlock), a certain perfected aim at conserving the very best in the nation had been achieved by the time the Kurukshetra war took place and how the very human passions that billow throughout the epic get their early push from the Book of the Beginnings…there are also flashes of insight…Despite the tangled nature of the criss-crossing myths and legends, Sri Bhattacharya has maintained clarity in outlining the themes, indicating the structure and conveying his views in a commendable manner.”—Dr.Prema Nandakumar, noted scholar. “This is a most valuable and original contribution to the field of Hindu Studies in general and in particular to the study of the Mahabharata. It contributes to new understanding. It makes important corrections to well-established views and gives an interesting and original account of a topic that remains important. It will add a new approach and addition to the study of the Mahabharata. The work is based on Hindu categories, epistemology, and historical experience. The work effectively restores complexity to a subject that indeed is often badly over-simplified. It offers a fascinating, insightful but critical account to the study of the Mahabharata. It is a well-researched reflection on the topic, and the author gives evidence of a deep familiarity with the material. It is engaging and well written and should capture the attention of readers. I learned a lot from this work. It made me think of my own work in a new way. An outstanding contribution.”—Dr. Sushil Mittal, Associate Professor of Hinduism, James Madison University, USA. 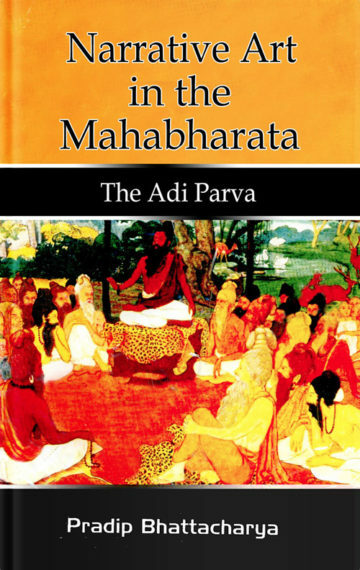 “…succeeds in directing the reader’s attention to the key patterns in the Ādiparvan time and again…insights are enriched by parallels and cross-references to other epic and purāṇic material, and are strengthened by an intimate familiarity with the MBh as a whole…rightly identifies the Ādiparvan as an object worthy of exclusive and lengthy investigation… succeeds, in an easy and readable style, in drawing attention to the merits of Lal’s poetic rendering, and in presenting several intriguing insights into the Ādiparvan’s dominant themes.” Dr. Christopher Austin, Dalhousie University, International Journal of Hindu Studies.